There are three things all poets talk about: Death, love and the meaning of life. This observation is no less true for Charles Moffat, a Canadian writer, artist and also a prolific poet who lives in Toronto. In Moffat's poems he frequently uses metaphors or key words to get his meaning across. "Gossamer Lies" for example aludes to the idea that the lies are see-through and the poem itself deals with a tragic suicide of a doctor and how it effected the psyche of the doctor's only daughter. Moffat's poetic works also sometimes appears in his fictional work, as he is apt at sneaking both poetry, riddles and love letters into his novels and short stories. He uses the poetry in his fictional work as a narrative device to provide a metaphor for the characters/plot, or sometimes as a riddle pertaining to the plot itself. Moffat's love letters are also quite poetic, not only because he has studied formal letter writing and traditional love letters, but also because he is a true romantic at heart. Apparently romance isn't dead. Even his one poem "Romance on a Stick" deals with the topic of whether romance is dead and he even questions whether it can also be a commodity. Would people pay for romance? His poetry also sometimes compliments his artistic work. For example his painting "Persephone and the Pomegranate" goes quite well with the poem of the same name. 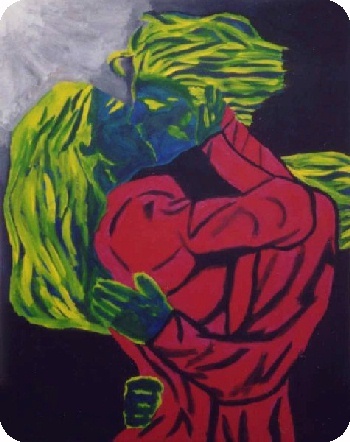 Likewise roses, succubi, romance/sexuality also feature in his artistic works. His existential works frequently deal with life, death, meaning, purpose, suicide (something he is adamantly against). One of his most important poems is The Sumerian Legend of Lilith, an epic poem concerning the Sumerian goddess known as Lilitu. Moffat has held various titles in poetry clubs in Toronto, and retired from club administration in 2012. However in February 2014 he returned to become the new president of the Toronto Poetry Club - which had to be restarted because the old president deleted it and all the contact info for club members was lost. He restarted the club, reinvigorated it, and then passed it on to the current club president. In February 2012 Moffat published his first poetry book: "a dream of unfettered roses" which is available on Kobo for $2.99. See "a dream of unfettered roses" on Kobo. The book was also available on Amazon Kindle from February 2012 to January 2015, but Moffat has since decided to remove it from Amazon. It is now available exclusively on Kobo. 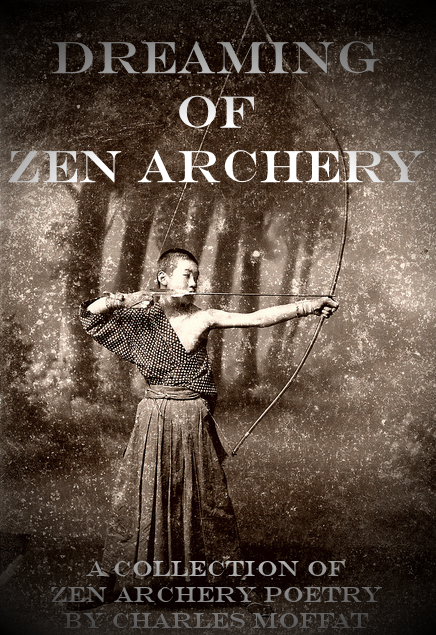 Moffat's newest book is Dreaming of Zen Archery, which went on sale on February 10th 2015 on Kobo. "You shall marry a man who beats you in a foot race, beating all other fast men." "Do you always give such grand gifts to strangers?" Alphabetical List of Poetry from "a dream of unfettered roses"